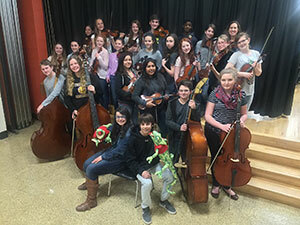 The music program in Warwick schools is one of the best in the area, and is a reflection of the community’s dedication to and strong support of the arts. All totaled, 1,732 Warwick students in grades 4-12 participate in band and orchestra, chorus, Music in Our Lives & Music Production. In grades 3 & 4, all students participate in chorus, and from kindergarten through eighth grade all students take general music. The NAMM Foundation has recognized 476 districts nationwide for their unwavering commitment to, and support of, music education. 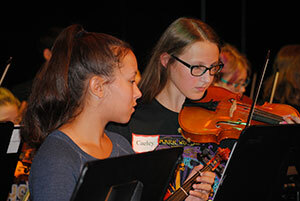 The award recognizes the commitment of school administrators, community leaders, teachers and parents who believe in music education and are working to ensure that it is part of a complete education for all children. 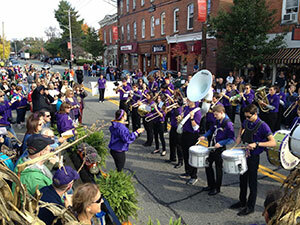 With this prestigious accolade from a nationwide non-profit foundation, Warwick is demonstrating its commitment to innovative learning opportunities for all children, and recognizing, as the new federal Every Student Succeeds Act (ESSA) does, that music and the arts are important for a well-rounded education for all students. The legislation, signed into law in December 2015, replaces No Child Left Behind Act (NCLB), which some felt left behind subjects such as music. ESSA clearly acknowledges that music and the arts are significant elements of academic success. Congratulations to all of the students, teachers, administrators and supporters of music in our community for their continued success in the field of music education!